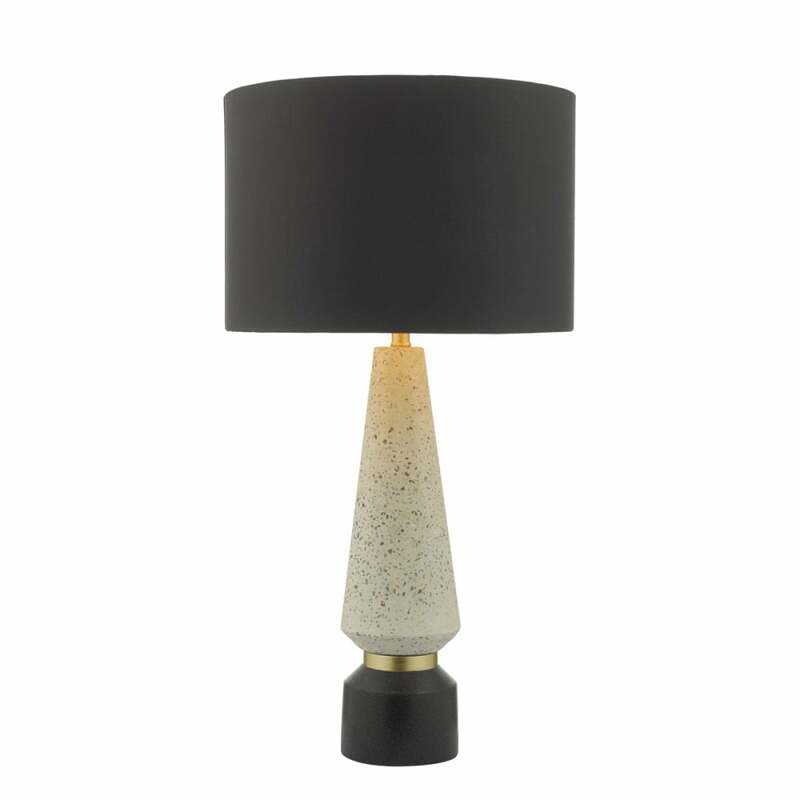 A decorative modern design table lamp with a classy Terrazzo and black finish base with gold detailing, the lamp comes complete with black faux silk drum shade with matching gold inner. The lamp is individually switched by an inline rocker switch and would be great for lighting in any modern lounge or bedroom. Here at The Lighting Company we have a large and ever growing range of lighting to suit every setting. Browse the full range of table lamps here: Table Lamps.